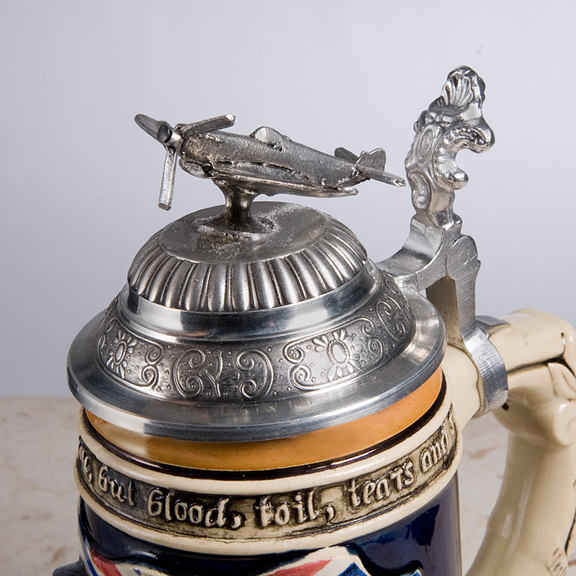 Our Churchill Exclusive 500 Limited edition German Beer Stein is the first of a series of Churchil and British History Limited editions German Beer Steins. 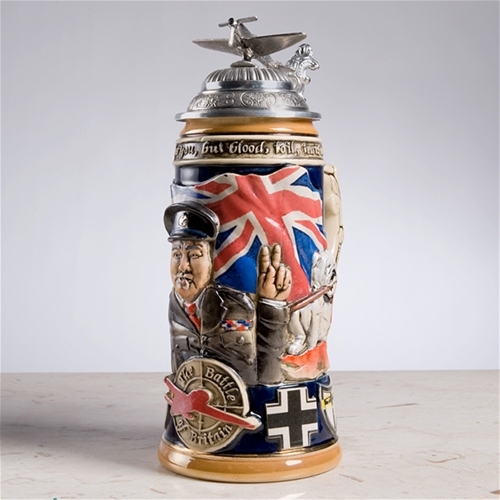 Each stein is made from a sculpted mold, individually hand painted with magnificent detail. Pewter lid and thumblift. Each one is numbered on the base. 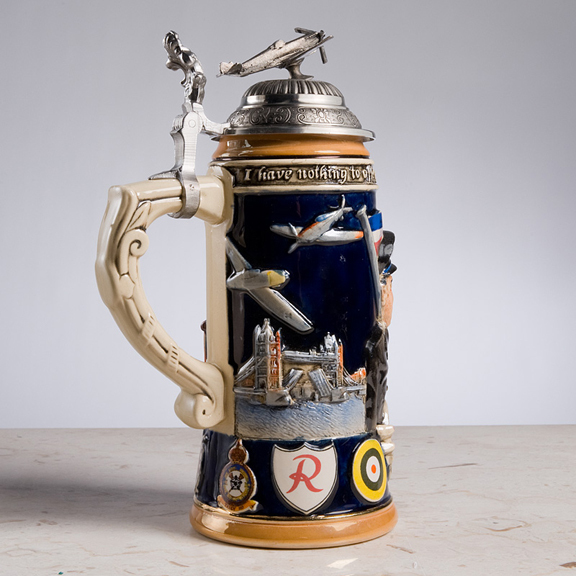 1 Liter stein. 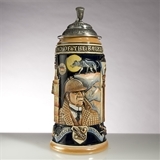 Made in Germany of handpainted 3D ceramic. By King Werk. Ours Exclusive. 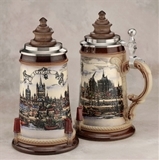 German Glass Meger Wolf Beer Stein, Each. 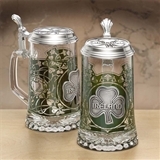 Ireland Glass Beer Stein, Each.